The is our most popular arrangement! We have combined two of the most spectacular beach activities in this extreme package, together with an amazing BBQ at Aloha Beach. This will be an unforgettable day. 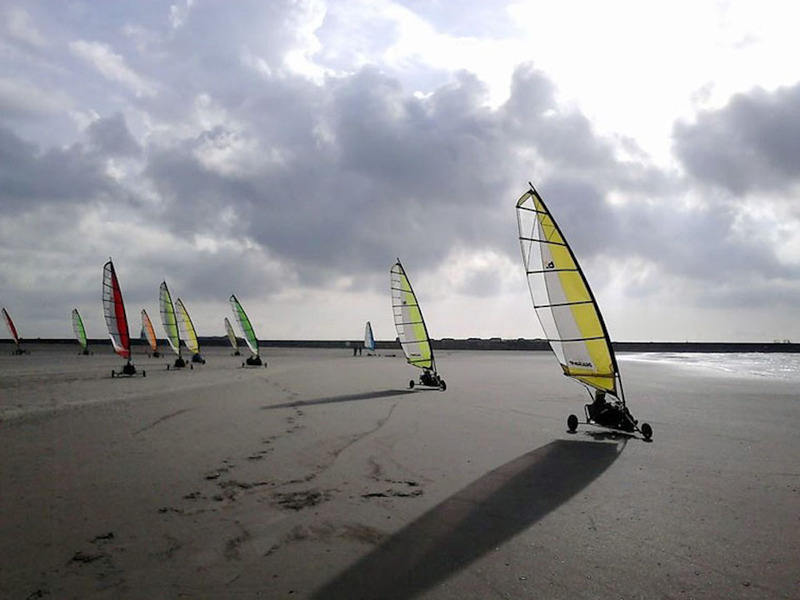 Feel the adrenaline while racing over the beach at 40km/h in a blokart and catching your first waves at one of best surfing beaches in The Netherlands. Afterwards you can share your amazing experiences with your colleagues while enjoying the setting sun and an amazing Aloha BBQ. It's also possible to substitute SUP or MEGA SUP for surfing. €80,50 p.p. vanaf 25 pers.